We decided to switch things up a bit on our third trailer trip. 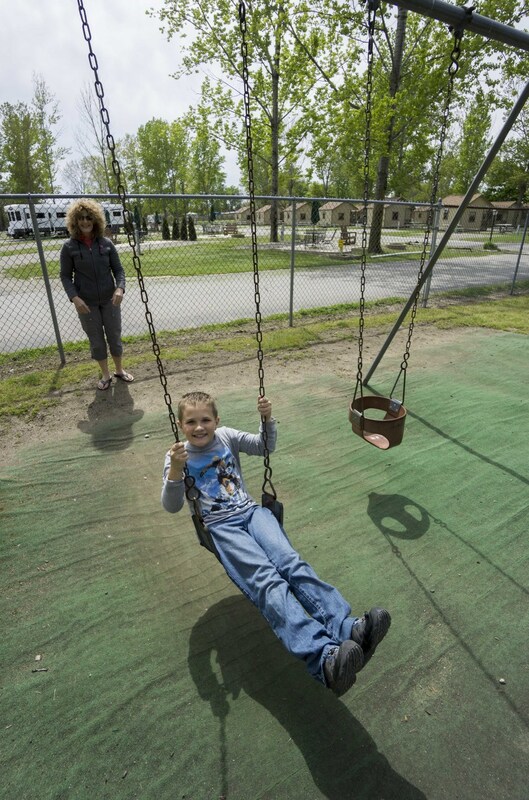 Instead of staying in a state park with limited amenities and hook-ups, we stayed at the KOA Bayshore in Sandusky, OH. We had a great time and learned a lot about what premium campgrounds offer. 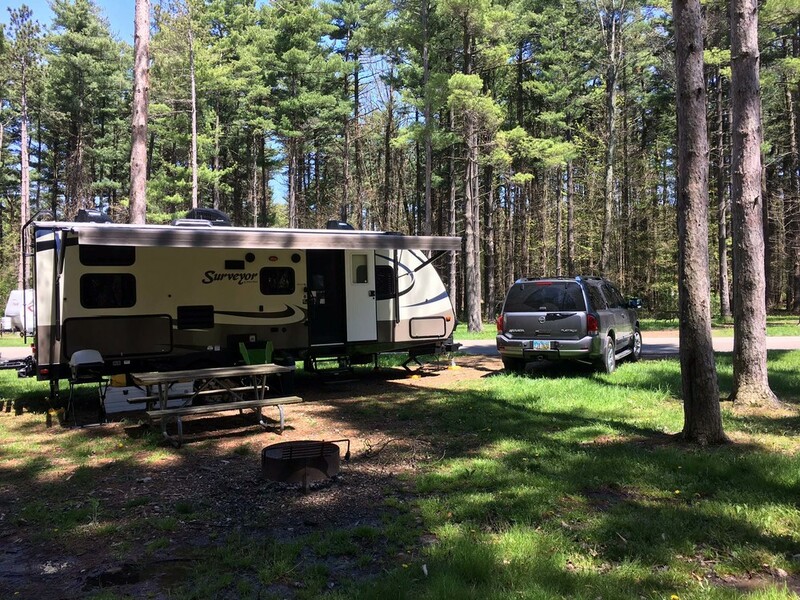 Comparing the campgrounds, they both have pros and cons which boil down into two broad categories: natural surroundings and amenities/services. As we choose campgrounds in the future we’ll take these into consideration, as the importance of each will likely be unique to each trip. Findley’s natural surroundings are awesome. 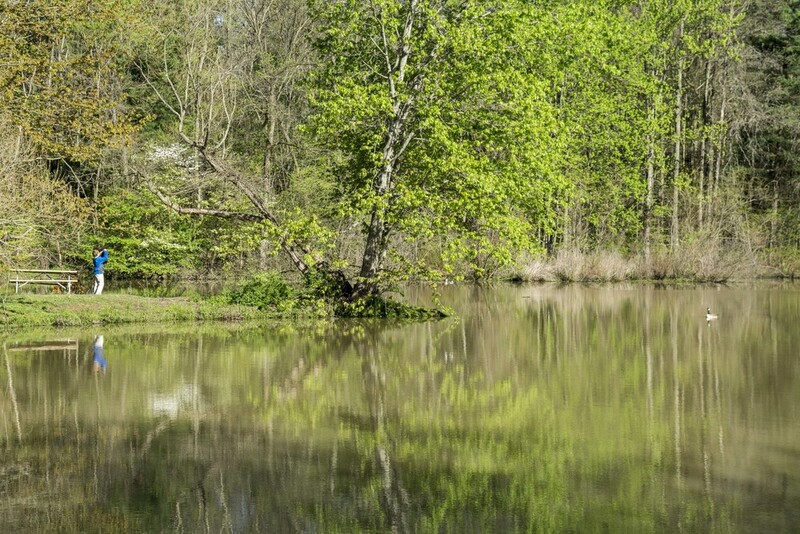 Findley offers acres of hiking and biking and a large lake for swimming, boating, and fishing. There’s a nice playground in the campground area and a nature center with some educational information. There’s also a store at the nature center with some camping and food supplies. The sites are beautiful – large and amongst the trees. Findley’s amenities and services are minimal. The only hook-up available is electric, so it’s important to have the water tank full and the sewer tanks empty when starting the trip. The bathrooms are clean, but far from many of the campsites, and the showers are push button and not very hot. For $26/night we love Findley and think it’s a great bargain. Our trips were short and the lack of amenities and services wasn’t a big deal… if we were staying longer we might think differently. KOA Bayshore’s amenities and services are fantastic, including a great staff very focused on customer service. There’s a pool, craft area for kids that’s staffed on the weekends, bouncing pillow, and playground. 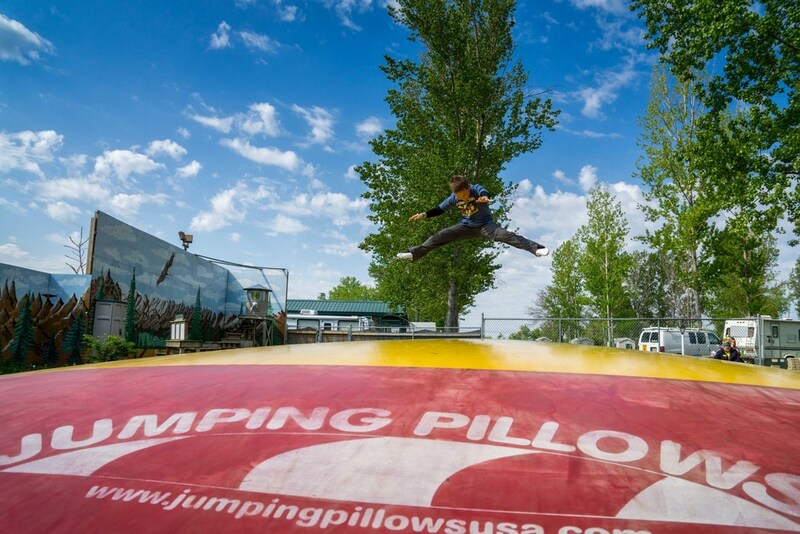 Daniel had a blast jumping on the bouncing pillow for hours! There are plenty of bathrooms that are very clean and have consistent hot water. KOA Bayshore also offers some prepared food and a store with various food and toiletry items. KOA Bayshore is on the Sandusky bay right before the Cedar Point Causeway, which is a fantastic location for a trip to Cedar Point. There’s a small area of the campground that meets the water, which is really nice. 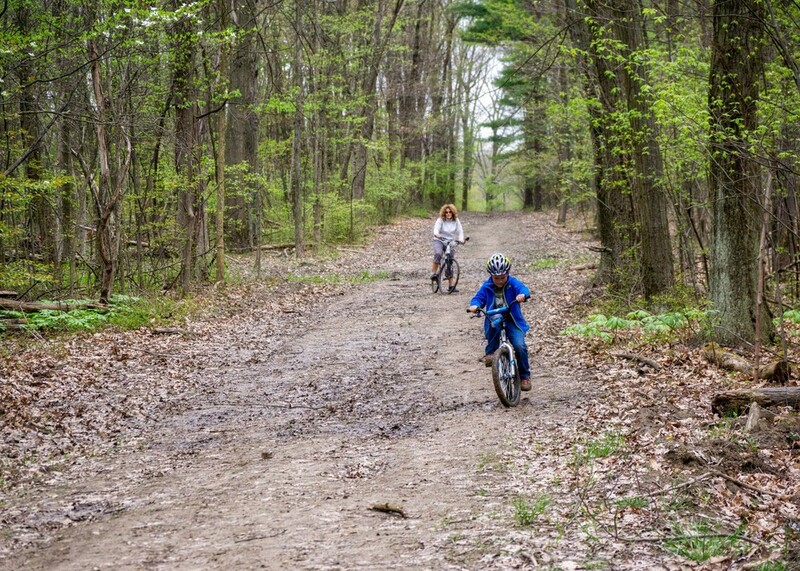 The campground has some trees, but the surroundings are generally not natural in the sense of being in or near the woods or forest. The camp sites are also very close together and don’t offer much privacy. KOA Bayshore is considerably more expensive than Findley – we paid $61.65/night. It’s clear that the different is amenities, which for a longer trip or a trip to Cedar point may be well worth it! Older PostDaniel Has Plans.......What Will We Do?! ?